The Brewery Artwalk happens twice a year, and if you’re going to go to any artwalk, make sure it’s this one. Ceramics, sculpture, mixed media, painting, visual arts, photography, architecture, installations – this one has it all. 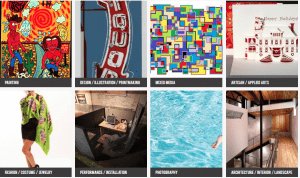 The Brewery ArtWalk is a twice annual open studio weekend at the worlds largest art complex. 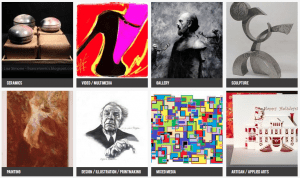 With over 100 participating residentartists, you will have the opportunity to see new works, discover new favorites, speak with the artists and purchase artwork directly from the artists’ studios. 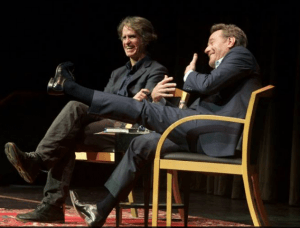 Interviewed by Jay Roach about his recently released memoir, A Life in Parts, (for Live Talks LA), Bryan Cranston was hilarious and incredibly likable. I mean, incredibly likable. Everybody loves this man. He received a standing ovation coming onto the stage and immediately quipped “well, I’ll just go home now then.” When asked which famous people, dead or alive, he’d like to meet, Cranston answered “John Lennon, Marlon Brando, Jesus and Kim Jong-il” – adding “come on, aren’t you curious?” Regaling the audience with stories from his memoir, Cranston’s self deprecating humor and infectious energy had the delighted audience eating out of the palm of his very “lively” hand. 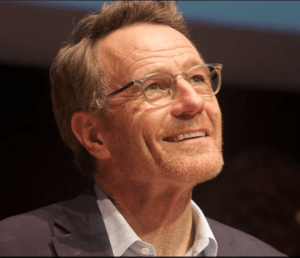 Cranston’s memoir, A Life in Parts, is aptly named since it delves into all the roles that Cranston has played in real life…and on film. The memoir offers a window into Cranston’s life, showing us how he crafts his performances from these various roles – ranging from farmhand to hypnotist; from stalked lover, to murder suspect, to abandoned son. We travel with Cranston as he experiences epiphanies, moments of realization and visits dark places within himself. Told with plenty humor, Cranston’s memoir is a surprising read. Then again, how could we expect anything less from the man that breathed live into the complex and multifaceted Walter White. And a special shout out to Live Talks LA for another stimulating and enjoyable show. 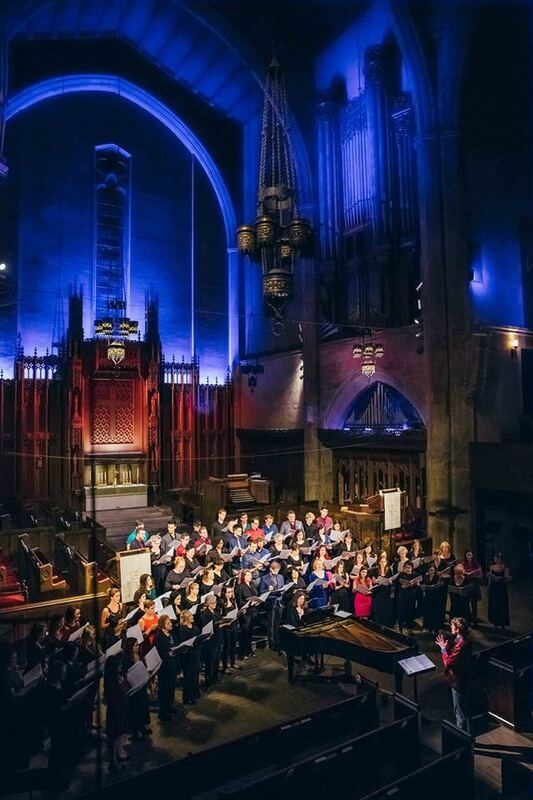 The LA Choral Lab performs twice a year, and when they do, it is rather glorious. 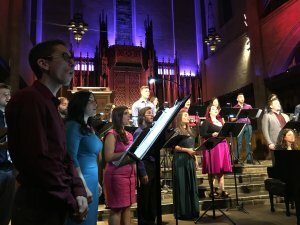 For their latest performance, entitled SACRED SONGS, 350+ concertgoers showed up to the First Congregational Church of Los Angeles in DTLA, to hear choral pieces that ranged from Gregorian chants and 1000-year-old music, to brand new works by local composers being heard for the first time. 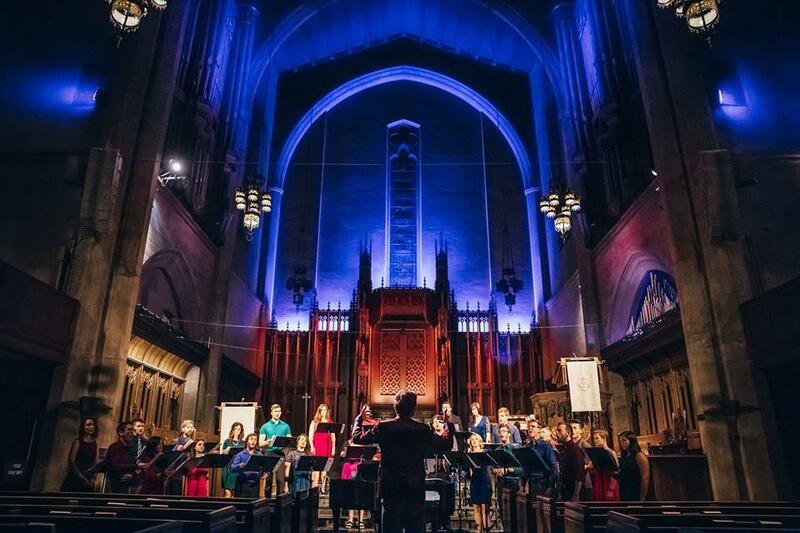 Intricate, layered harmonies resonated throughout the resplendent setting as the choir sang hymns together, and in quartets stationed around different areas of the church. There were also several songs performed by the 60+ member volunteer choir. Some of the musical pieces sounded almost like a vocalizer had been added, (like Imogen Heap) which speaks volumes to the spot on harmonics of the singers. When a full choir sings melodic, multi-part harmonies in the sanctuary of a beautifully lit church, you cannot help but want to weep. The Artistic Director of the LA Choral Lab, Michael Alfera, answered a few question for SoCal magazine about the Sacred Songs performance. 1. How often does the choir rehearse for a performance? The L.A. Choral Lab holds six to eight rehearsals leading up to a performance, depending on how involved the repertoire is. We rehearse once or twice a week in the several weeks leading up to a performance. At this point, we’re doing two performances per year. As we grow, we look forward to being able to perform more often than that, and in new and unexpected venues around Los Angeles. 2. 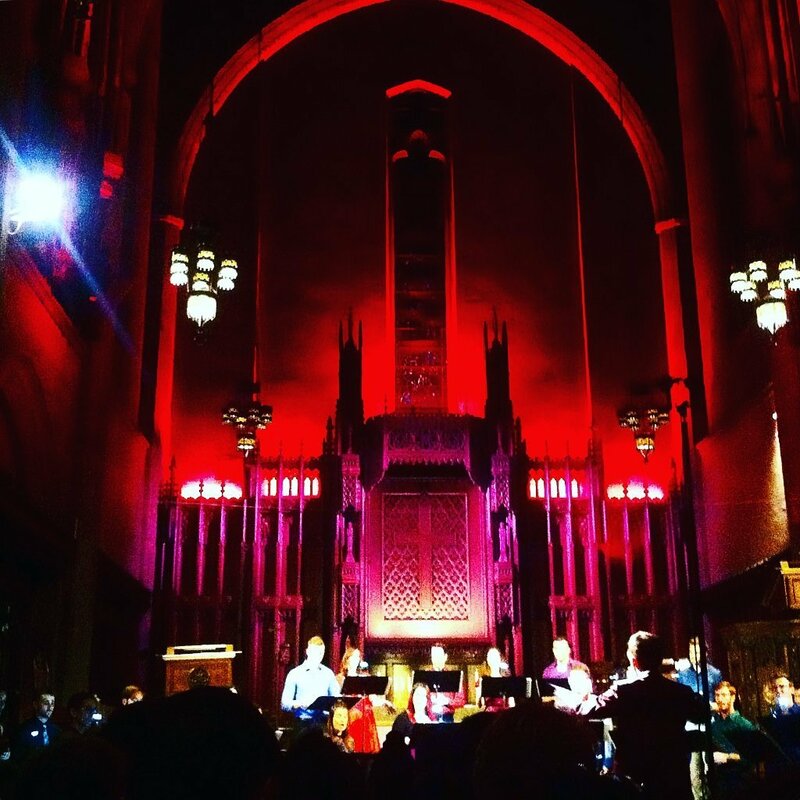 Does the L.A. Choral Lab perform contemporary music? We almost always perform contemporary music and almost every piece on our Sacred Songs program was written in the past ten to fifteen years. We focus on recently-written pieces that have an emotional/spiritual dimension in addition to an intellectual dimension. 3. The third movement of Vidi Aquam by Greg Brown had such discordant notes. Was that a hard one for the singers to learn? The third movement of Vidi Aquam by Greg Brown, is a beautiful soundscape-type piece that I learned about when Mr. Brown sent me the piece as part of a call for scores that we did. To me, the piece is reminiscent of the sounds of the far East — crotales, meditation bells, ancient stringed instruments. To achieve this, each part had to be intricately crafted. The singers worked hard to nail that one down. Each piece has its own challenges. I try not to think of one piece as more difficult than another because we ultimately want to have the same sort of easy mastery over every piece by the time the performance comes. If a piece is difficult, that simply means that we have to spend more time on it. 4. And which piece was it that sounded like Paul Simon’s American Tune? Oh! You’re talking about ‘O Sacred Head Now Wounded‘. — the melody and chorale were originally written by Hans Leo Hassler around the year 1600. And Paul Simon’s song is a direct adaptation of that chorale for solo voice and guitar. The tune is based on a melody line on the chorale from Johann Sebastian Bach’s St Matthew Passion, itself a reworking of the earlier secular song, ‘O Sacred Head Now Wounded‘. or “Mein G’müt ist mir verwirret,” composed by Hans Leo Hassler. Dollmakers V will showcase doll makers and sculptors from different parts of the world, alongside works from several of our Cactus Gallery family members. 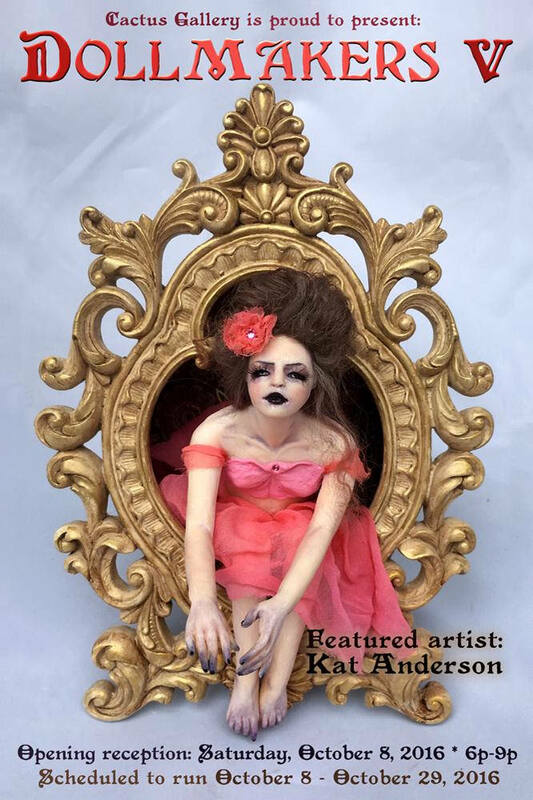 Expect to find handcrafted art dolls and sculptures in many different styles and media, such as: needle felt, fabric, hand stitched and embroidered felt, paper clay, polymer clay, hand-dyed textiles and vintage veils, lace, and other vintage materials, assemblage using bones and found objects and more. Participating artists: Ulla Anobile Art, Elisa Belloni, Christine Benjamin, Denise Bledsoe, Henry Cram, Sheri DeBow, Ruth DeNicola, Dolldrums (Kylie Dexter), Rasa Jadzeviciene, Christy Kane, Nefer Kane, Patricia Krebs, Mavis Leahy, Ann Lim, Linda Lyons, Jazmin Molina, Lulu Moonwood Murakami, Paul Murray, Amanda Sue Myers, Richelle Nicole, Nobu Happy Spooky (Domenico Scalisi), Karly Perez, Meghan Ritchey and Simone Young. Contact Sandra Mastroianni at [email protected] for info on installment plans and pre-sale images/info. Please help us respect our neighbors – park on Coolidge Avenue or park in the lumber yard adjacent to the gallery.